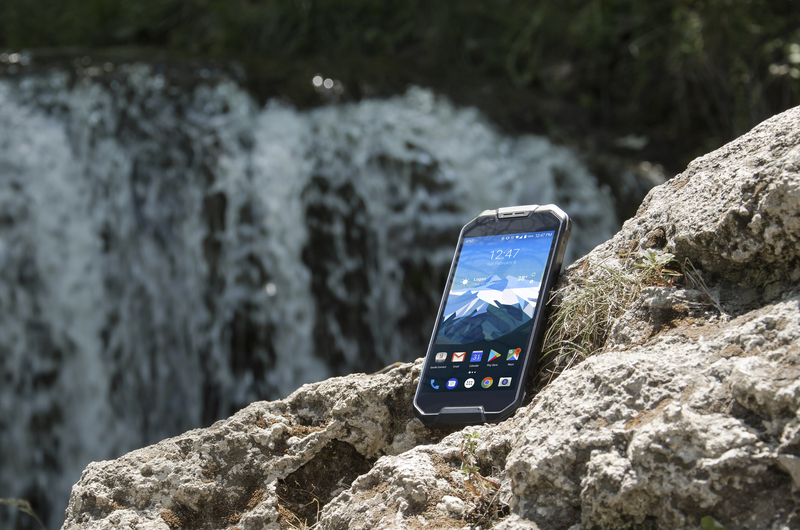 The CP3 touts a high-visibility 5.5” AMOLED display, 14- to 16-hour battery life operating at full brightness and running GPS, 16-megapixel user-facing camera and dual 12-megapixel rear camera, and 6 gigabytes RAM with 64 gigabytes of internal storage. 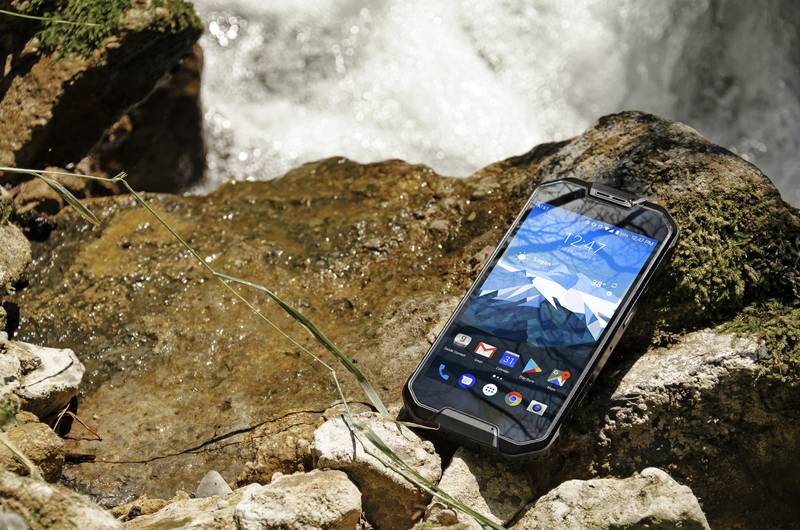 The CP3, like other Cedar devices, is rated IP68, making it waterproof, dustproof, and shockproof. The smartphone is built to protect its powerful brains with unparalleled brawn. It is tested to withstand 1.5 meters of water for 30 minutes, even with its rubber port dust covers open. 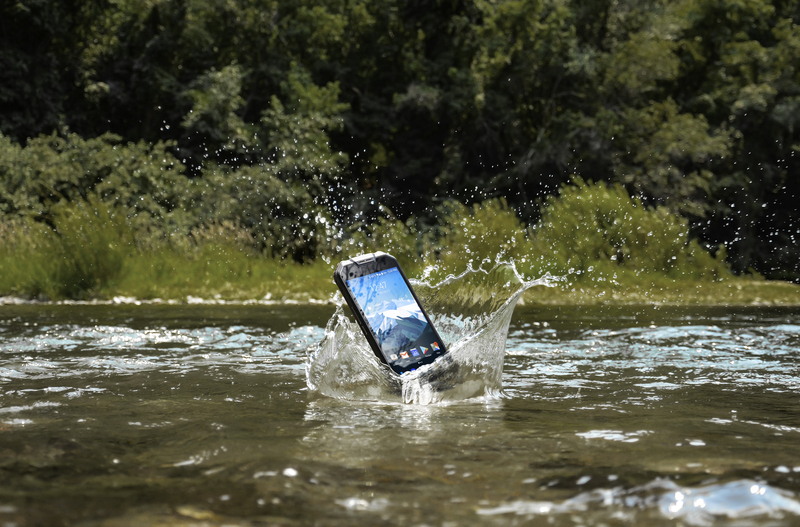 Users could stick it under water for stunning photos or pick it up from a muddy puddle without worry. The CP3 is tested against the United States military product drop standard, MIL-STD-810G, which it both meets and exceeds. 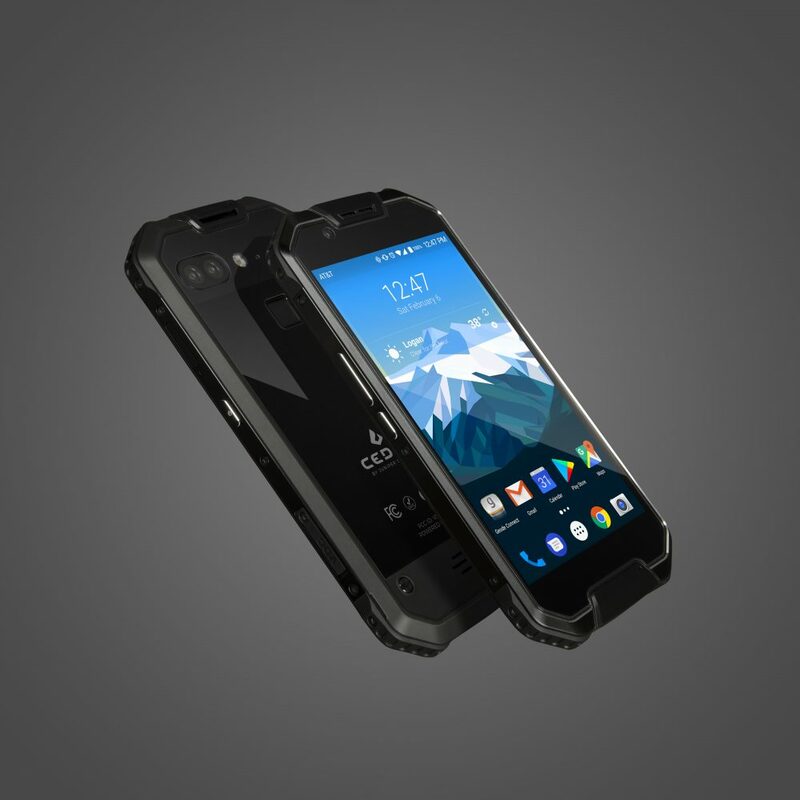 Unlike other rugged devices, it is not just a consumer device with a rugged case. This is built-in rugged. All in, the CP3 is undeniably rugged, but it bucks rugged norms. The CP3 boasts form and function, coming in at just 14 millimeters thick with a narrow, tough bezel that easily slides into jean pockets and work backpacks. The CP3 delivers an impressive high-resolution 5.5” AMOLED display with a capacitive touch touchscreen. AMOLED displays, a technology with active matrix organic light-emitting diodes, direct power to each individual pixel. The result is a blazing fast screen refresh rate and a display capable of stunningly vibrant colors and true blacks. The technology makes photos and videos come to life on the screen. This combined with the display’s wide range of viewing angles offers users high-visibility viewing during blinding summer days and the dark of night. The 6000mAh li-polymer battery delivers a shocking 480-hour standby time and 50-hour talk time. It’s more than double the size of the iPhone X battery. Working with the CP3’s powerful and energy-frugal processor, it is a true all-day battery for non-stop field work. And unlike other smartphones, the battery will not slow to a crawl or freeze in tough weather conditions. It keeps going, going, and going. The battery also gulps electricity while charging. With Qualcomm Quick Charge 3.0 technology, the CP3 can reach a 90 percent charge in as little as 2.5 hours. The CP3 contains the powerful Snapdragon 653 octa-core processor that competes with top-end, high-performance phones and tablets. Snapdragon 653 clocks blazing 300 Mbps download speeds and 150 Mbps upload speeds – necessary for sending and receiving high-resolution photos and videos. The processor displays vivid imagery with its Adreno 510 GPU, which shows amazing visual detail without eating away battery life. The CP3 will make light work of advanced graphics with hardware tessellation and geometric shading. The processor is highly secure with built-in protections from Snapdragon. And it supports three satellite systems – GPS, GLONASS, BeiDou – for best-in-class mobile phone positioning. 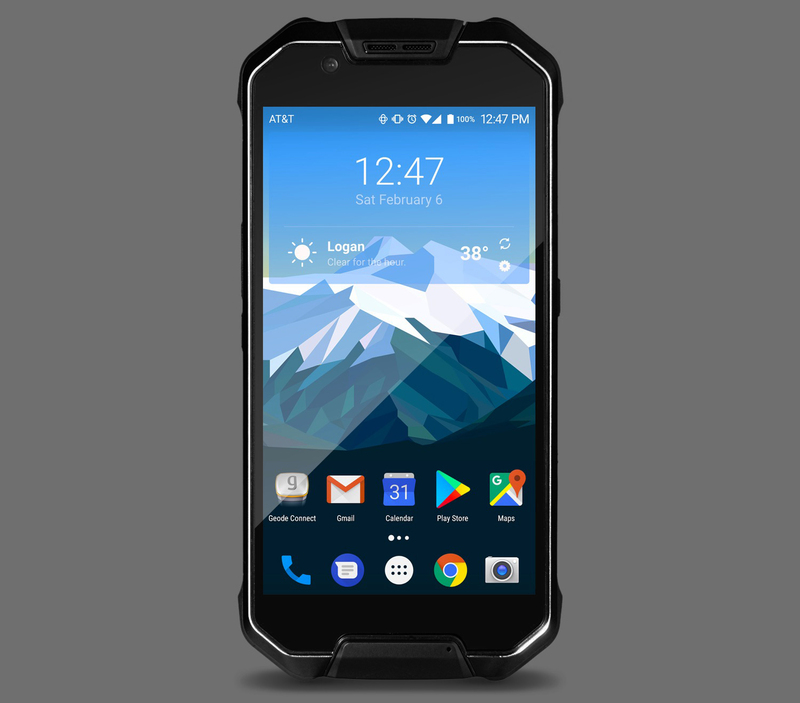 The CP3 is enabled with 4G LTE; Bluetooth 4.0; near-field communication, or NFC; USB on-the-go, or OTG, for reading USB devices, and dual micro SIM card slots for enhanced dual provider coverage or a seamless work-home phone transition. The front-facing 16-megapixel Samsung S5K3P3 camera, a resolution of 4632×3480, captures vivid color in rich detail at 30 FPS. It snaps into focus for capturing fleeting moments in the field or at home. The rear-facing system features a dual 12-megapixel Sony IMX386 camera, a resolution of 3968×2976, which is capable of shooting 4K video. The cameras are optimized by the CP3’s Qualcomm Spectra™ image signal processor, which eliminates shutter lag, enhances autofocus, and integrates high-quality color mapping to fully capture any moment, anywhere. The CP3 features USB-C, fingerprint ID, a VOC sensor, and Google Mobile Services. USB-C is an increasingly ubiquitous electronics charging and data transfer standard. It is small, easy to attach, and delivers lightning fast bandwidth. 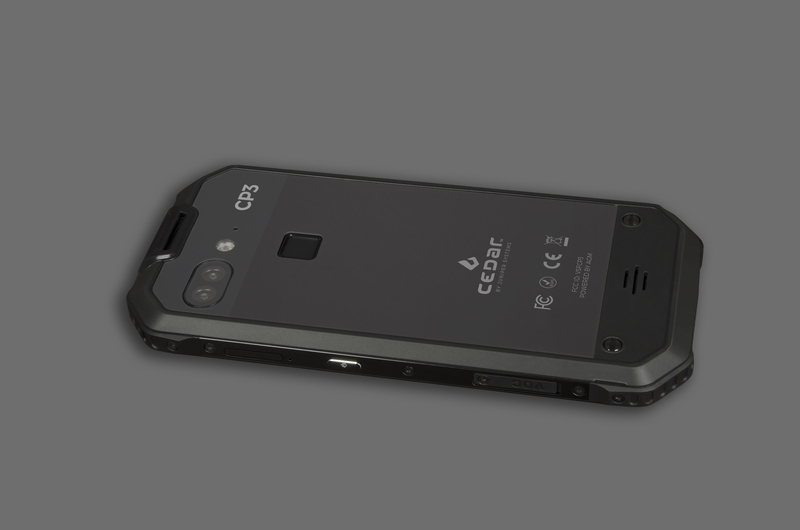 Fingerprint ID technology allows users to securely access their phone by placing their finger on the back of the CP3. The built-in VOC sensor, or volatile organic compound sensor, detects dangerous compounds in the air. And the CP3 supports Google’s suite of popular apps with Google Mobile Services. The CP3 includes a year-long manufacturer’s warranty and unbeatable customer service support from Juniper Systems in-house team located in the United States. For more information about the Cedar CP3 – or Juniper Systems’ line of rugged tablets and mobile computers – contact us here. Or, visit us online here. Please send pricing information. Is the phone supported by Verizon? The smartphone is $799. Unfortunately, it’s not supported by Verizon. I’ll have our inside sales rep send you a quote later today. Thanks! What version of android does this ship with, is it a regular android version? The CP3 runs Android 7.1.2 with full GMS. The CP3 is $799. I’ll have our inside sales rep send you a quote later today. Thanks! 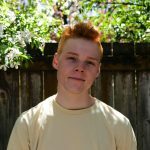 Does it run Microsurvey’s Field Genius? John, As far as I can tell, MicroSurvey’s FieldGenius is only compatible with Windows Mobile devices. Does it have a barcode reader? It does not have a dedicated barcode reader, but you can download a barcode-reading software and use the camera as the reader. Hope that helps! One camera captures a black and white image and the other captures color. This provides users with images with deeper color, more contrast, and a better dynamic range. Any plans for this phone to eventually run Android 9+? Scott, thanks for the comment. The CP3 will remain on its current version of the Android operating system. However, stay tuned for the future line of Juniper products.